Elected to the Thirty-Seventh Parliament for Agricultural Region (Legislative Council) on 29 January 2008 to fill the vacancy consequent upon the resignation of Hon Murray Criddle. Re-elected 6 September 2008 for term commencing 22 May 2009, for the Mining and Pastoral Region. Resigned 12 February 2013 (to contest the Lower House seat for Kalgoorlie). 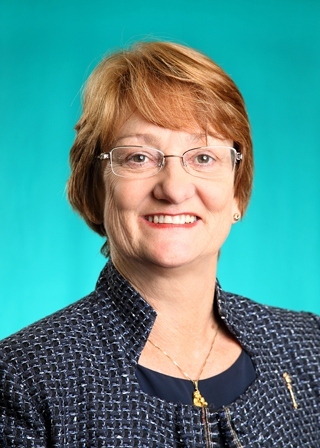 Elected to the Thirty-Ninth Parliament for Kalgoorlie on 9 March 2013 in succession to John James Mansell Bowler (retired). Did not contest the general election of 11 March 2017. Deputy Speaker of the Legislative Assembly from 11 April 2013 to 11 March 2017. Parliamentary Secretary to the Minister for Regional Development; Lands; Minister Assisting the Minister for State Development; Minister Assisting on Country Transport: 23 September 2008 - 28 April 2010. Parliamentary Secretary to the Minister for Regional Development; Lands; Minister Assisting the Minister for State Development; Minister Assisting the Minister for Transport: 28 April 2010 - 14 December 2010. Parliamentary Secretary to the Minister for Regional Development; Lands; Minister Assisting the Minister for State Development (with respect to Regional Development; Lands only): 14 December 2010 - 12 February 2013. Member, Standing Committee on the Environment and Public Affairs from 6 November 2008 to 4 June 2009. Member, Standing Committee on the Procedure and Privileges Committee from 21 March 2012 to 14 December 2012. Member, Procedure and Privileges Committee from 9 May 2013. Member, Parliamentary Services Committee from 4 June 2009 to 14 December 2012. Member, Joint Select Committee on Aboriginal Constitutional Recognition from 2 December 2014 26 March 2015. Born 7 October 1954, Kalgoorlie, Western Australia. BA; GradDipSecStud; GradDipBus. Strategic Projects Officer, Shire of Esperance. The electorate of Kalgoorlie is located in the Mining and Pastoral Region and includes parts of the City of Kalgoorlie-Boulder and all of the Shires of Laverton, Leonora, Menzies and Ngaanyatjarraku. Enrolment (9 March 2015) 20,830; area 507,636 sq kms.